Over the past school year, twitter has become a great friend of mine. Not only does it allow you to connect with others, but I have found that I have learned an immense amount, mainly through the source of participating in twitter chats. I try to participate in one weekly, sometimes up to three, and sometimes none, but I have found that the more I participate, the more I want to. It’s easy to become addicted. The learning capabilities are endless and it’s an incredible way to “meet” and connect with new educators all over the world. 1) Free PD – Twitter chats are free! That’s right, you have the ability to learn from millions of people around the globe: experts and innovative thinkers who will offer you new ideas, things to try, advice, and much more! 2) Learning about new resources – There are always suggestions and resources shared during twitter chats. Whether it’s an app someone couldn’t live without, a website that makes someone’s life easier, or a motivating book someone read, you will always learn about some kind of new resource. 3) Share your ideas – Chats are a great platform for sharing your own knowledge. I know as a teacher, I love collaborating with others. Chats allow you to do this. You are able to bounce ideas off one another, gain suggestions from others, and share what you are an “expert” in. We all have strengths and things to contribute, so why not share them with the world? 4) Have your ideas challenged – Conversely, one is able to have their ideas challenged. It can be easy for teachers to get stuck in the same thoughts or the same way of teaching something. 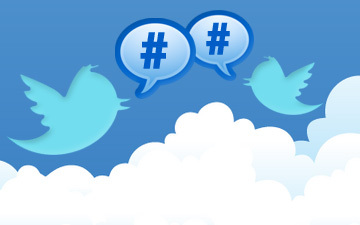 Twitter chats allow your current practice or ideas to be challenged by others. It’s a fabulous learning process! 5) Connect with other educators – The most valuable part of twitter chats is the ability to connect with other educators around the globe. You can be learning with someone that would have never been possible before. Your PLN becomes a resource for help, guidance, advice, and tips. It’s a great way to continue your personal learning journey. If you’ve never tried out a chat before, I highly recommend that you do. Be a lurker initially, if you want to see how it all works, or take the leap and jump in and share your thoughts. You’ll be surprised about how easy it is. Don’t forget to use a platform like tweetdeck to make your life easier, and always use your hashtag. Once you try it out, I think you’ll be surprised by the ease, accessibility, learning, and fun that you’ll have. Happy tweeting! Here is a comprehensive list of weekly educational twitter chats. My district is hosting our first ever twitter chat on Monday. It would be a great first chat to participate in, or a wonderful way to share your own comments about integrating technology in your classroom. A couple of weeks ago, all of our elementary schools in our district had an incredible day to celebrate our year of pro-kindness efforts with our K-4 students. During this morning, a student from each campus spoke and explained how his/her school has changed and the positive impacts it has had, and here is where I want to begin my story. About two weeks prior to this event, my school held an essay contest for grades 3 and 4. After reading the instructions and explaining how the process would work, several students eagerly raised their hands as ones who wanted to participate. I passed the notices out to them, but was surprised that the one student I had “pegged” as one who would volunteer didn’t raise her hand. I approached her asking if she wanted to enter the contest and she declined quickly. As the next day of school approached, I was stilled boggled by the fact that this girl didn’t choose to participate. Of all the students in my class she is the most outgoing, always chatting, has a big personality, and is a go-getter. I pulled her aside at recess time and questioned why she didn’t want to participate in the contest. She replied, much to my surprise, that she was terribly scared to speak in front of people, something I never would have imagined by her sparky personality. I encouraged her and explained to her that I thought she would be fantastic at it, and after much persuasion she finally agreed to at least write the essay. She made it to the top 5 for our school and had to do her speech in front of the school, as an audition for the real thing. She was brilliant, and had incredible intonation and expression for a nine year old. She spoke even better than I could have imagined her to, and never led on to the fact that she was nervous. In the long run, she won the competition for our school and presented her speech in front of over 1000 people, never leading on that stomach was in knots, and making me as proud as her own mother was. I think sometimes as teachers and in our busy work lives it can be hard to remember and recognize the greatness in all kids. Each one has something unique and amazing to offer to the world. Although this girl can sometimes drive me crazy with her persistent loud voice, I realized that this was a tool that she could use. We need to help our students discover their gifts and encourage them to share them. Since then, not only has she become more confident in herself, but our relationship has grown. It’s amazing what a little encouragement and believing in someone can do. We’ve all had those teachers who believed in us, so now it’s our time to pass on the gift and show our students how amazing each of them are! Thinking about my class and students this year, I have been blessed to have worked with these guys for several years. I first met them through teaching them kindergarten gym, taught some of them in grade one and two, and am lucky enough to have several again in their final year at our school in grade four. I would consider this class “the dream team.” They all are incredible students who go out of their way to work together, show kindness, and embrace each others uniqueness. They really are very special! Throughout this year, I’ve always wondered has this five year relationship with them attributed to their outstanding character? 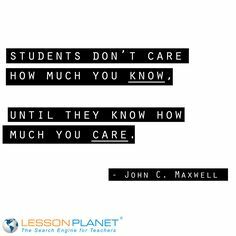 Is it true that building a strong relationship with your students is more important than anything else? I don’t doubt for a second that it isn’t, and this year has proven that to me time and time again. If I didn’t know their favourite sport, that their older siblings annoy them, the snack that they always despise, would we interact the same way? I would say no. 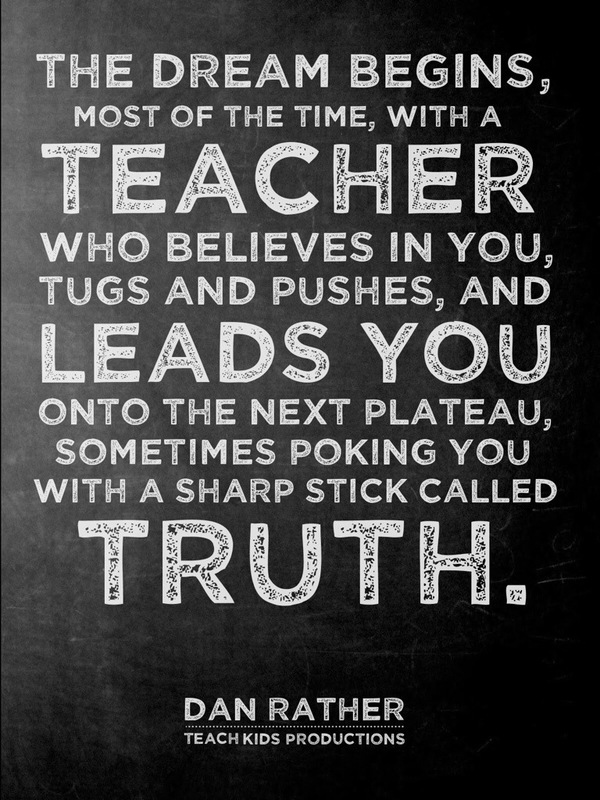 I believe that when you truly understand each one of your students, learn who they are as a person, only then will true learning occur. This is the first step for authentic engagement for students. Having this strong foundation of a relationship being built for the last five years, has allowed me to really understand how my students learn; what works for them and what they struggle with. They are open to communicating, excel for excellence, but support each other when failure occurs. I teach for them. Not for a test. Not for the highest marks, but for the students. Question #1: How should you record a student’s comprehension of a subject? Essay, test, quiz, or an in class discussion? What works best? Question #2: How do you instill a mindset in student’s that failure isn’t an option? What motivates students to excel? Question #3: In a classroom there are several types of learners. How do you make sure you are reaching everyone? Question #4: Should you encourage students to take a variety of courses or focus on one that they are passionate about? Question #5: How do you create a positive learning culture for your students where they are wanting to be there each day? 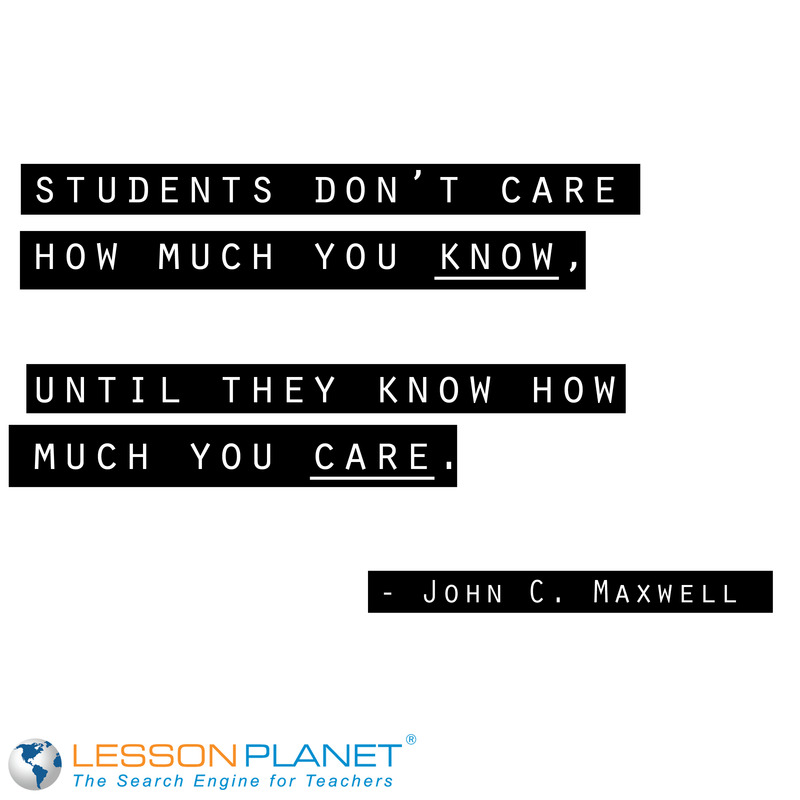 Providing a caring environment, where students can take risks, be challenged, and be supported when they fail is important for every classroom. It all begins with building a relationship. How will you discover each of your students in order to optimize their learning? Get to know them! Teach for the student. What’s Your Summer Learning Plan? It’s hard to think of summer when I awoke to large, fluffy snow flakes accumulating quickly on the ground this morning. And yes, it is May 3. Whether you’re staying in town, going on a traveling expedition, or spending time with your family and friends, it seems as educators we always find ways to integrate some kind of learning into our lives. Although summer is consider a break or holiday, teachers still find the time to do what they do best: learn! Question #1: Summer provides a great opportunity for us to focus on our own new learning. What’s on top of your list to learn this summer? 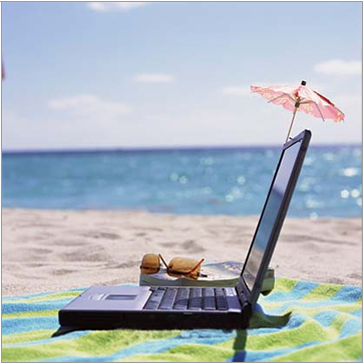 Question #2: What learning opportunities are you making available for staff this summer? Share topics and any innovative practices. Question #3: Share your recommendations – What book and/or blogger do you think is a “must read” for the rest of us? Why? Question #4: How about for our students? What are you doing or what do recommend to keep students engaged in learning this summer? Question #5: What would an ideal day of learning look like for you this summer? The last question asked about non-educational plans for the summer and of course many answers consisted of spending time with family members. The great ideas in this chat made me think about what my summer plan is. What do I want to learn this summer and how do I want to grow? This will be the first summer in years, that I won’t be traveling to an exotic place, and as much as that aches me, instead I am embarking on a new journey of starting my masters. Continuing and expanding my learning is something I’ve always wanted to do, but hadn’t the time. Having to be in town for my sister’s wedding and family visits seemed like the perfect opportunity. A great balance of educational and fun! Regardless of if you have plans, or are trying to build some now, I challenge you to do something for yourself. Take control of your own learning and follow the path you desire. You may be surprised with where it leads you.